"Mein Ganpat rao Apte" is one of fthe most well known dialouges in Indian Bollywood Era. Paresh Rawal is India's most exciting actor to watch. His comedy can turn a person crazy. His comdey in the movie "Hera Pheri" as well as the sequel "Phir Hera Pheri.He was born on 30th May 1950. He made his debut in the year 1984 in the Film industry. As mentioned earlier has played comic roles and also succeded in it. He was born and bought up in Mumbai. He is married to Swaroop Samrat who was a Miss india contestant in 1979. They have two sons Aditya and Anirudh. 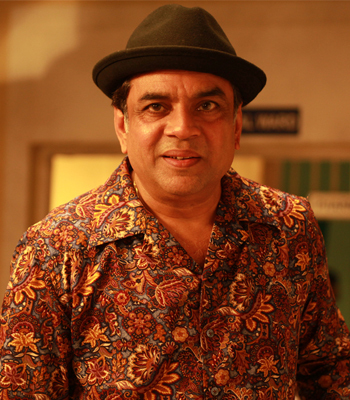 Paresh Rawal was born in Paliyad, Read more..